having some fun with a handful of idioms. This entry was posted on Tuesday, April 5th, 2011 at 4:47 amand is filed under . You can follow any responses to this entry through the RSS 2.0 feed. You can leave a response, or trackback from your own site. wait…is that your hand ? whoa, i am blown away by this photo !! Is that your hand? I am SO jealous. Love the birdies! What an exquisite image. WOW! How do people do this? I want to do this! 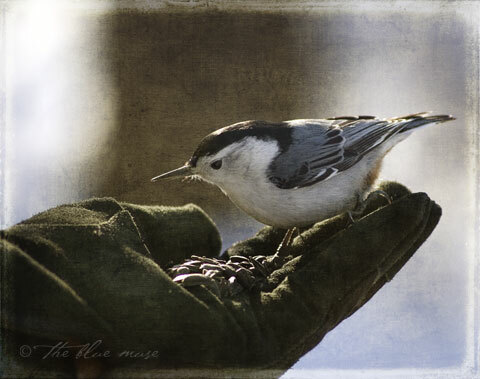 tell me true … is this beautiful little bird … my favourite little bird, btw … truly sitting on your hand? Very nice. Off to read more.